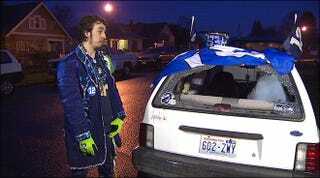 Here&#39;s a story about a Seahawks superfan who had his car broken into. Here's a story about a Seahawks superfan who had his car broken into. I feel bad for him, but I really like this picture.